BlueSnap acts as a merchant account and payment gateway provider for businesses accepting credit and debit cards as payment. They are best known for their services in eCommerce. They provide tools to merchants that allow them to easily build their shopping cart and sell products/services on the web. Fees for small business owners are uncommonly high with BlueSnap. While they can be a suitable gateway and merchant account provider for larger businesses, we do not recommend BlueSnap for businesses processing under $2,500 per month. BlueSnap is commonly used by midsized businesses and large corporations. They are easy to work with and highly reliable. While they may not offer an efficient payment model to smaller businesses, they are on par with competing merchant account providers in the industry when it comes to handling larger entities. If you’re interested in using BlueSnap as your merchant account provider and payment gateway, Verisave can help you to stay two steps ahead of the enrollment process. Our team of merchant account auditors at Verisave has developed proprietary benchmark data on BlueSnap, giving you access to unique savings strategies to help you save more on merchant account fees. Our experience with BlueSnap has been positive. As we’ve worked with merchants who use BlueSnap as their merchant account provider, we’ve found their services to be reliable and their customer service to be very helpful. Our ease of communication with BlueSnap has allowed us to capture savings for our clients to lower their overall merchant account fees. To save money on monthly merchant account fees, consider working with Verisave. Submit your most recent merchant account statement and we will determine whether or not you could benefit from our services after performing a free audit of your account statement. Talech offers a great system for accepting credit and debit card payments in any situation be it a physical store location, phone order, or online storefront. Talech’s POS software is design specifically for retailers and restaurants. While not being our top recommendation for large corporations, it’s a great tool for small to mid-sized businesses. Talech’s developers have created a POS system that includes in-house marketing tools, advanced inventory features, and the capability to integrate with most payment processors. Most businesses accept credit cards as a form of payment from their customers, especially in retail stores and restaurants. However, the credit card processing industry is complex and the fees for these services are often unnecessarily high. Many businesses simply accept fees associated with credit card processing as a “cost of doing business” with no attempt to understand and reduce them. Verisave helps to reduce these fees with simple strategies developed through years of practice and implementation. If you’re looking for a change in POS providers, speak with Verisave to see how much you could save by restructuring your merchant account. Vend and Shopify are competitors to Talech that offer a basic POS system with minimal reporting tools. On the other hand, Talech offers a simple to use POS system with a massive collection of business management tools for either restaurants or retailers. Their list of business management solutions is long and constantly being improved. TALECH PAYMENT ACCEPTANCE – Using Talech, merchants can accept payment from all major credit card providers (swipe, chip, and tap), debit, cash, check, eCheck, phone order, mobile, split check, gift card, etc. Talech integrates with Xero, Sage One, and Quickbooks accounting software, Homebase labor management software, and EPSON KDS software. The interface is easy to learn considering the system offers so many tools and features. When bugs or glitches to arise, they are quickly resolved by Talech’s robust team of developers. For merchants that are new to Talech, they offer onboarding help, a library of troubleshooting resources and a call line for customer support. How Much Will You Be Paying For Talech? Talech offers merchants the option to pay month-to-month or a year upfront. Paying month-to-month is slightly more expensive. Paying for your POS system is only one fee among many involved in credit card processing. Looking at your merchant account statement is a clear indication that there are many players in this game. Most financial executives we speak with do not truly understand their credit card statements where their fees go. Structuring your merchant accounts to lower your monthly fees is possible when you know where to look and with whom you should speak. We have found that businesses that engage an auditing firm generally pay 25% lower fees than their industry counterparts and save significantly more per month than do those who go about it alone. Talech does not trap their customers into lengthy contracts and they do not charge a fee for canceling services. However, they do offer an incentive for paying for their services on a yearly basis instead of monthly. Talech has excellent customer service. One thing in particular that Talech seems to do better than most of their competitors is working the bugs out of their systems and improving their services on a regular basis. With regular updates and a large team on in-house developers, Talech puts a large effort into maintaining and building out their software. To reach customer service, you can call their 24/7 customer support line, email, send a message via social media (facebook and twitter), or use their online chat feature (limited hours). They also offer lots of reading material on their website for set up and troubleshooting. Customers love Talech and this is one of the many reasons we recommend Talech POS services to our clients. There aren’t many negative reviews online about this company and when there are, they are addressed by Talech promptly. Commonly, their most negative complaints revolve around a lack of Android support. 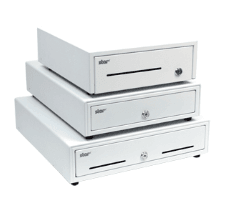 Talech offers a POS system for restaurants and retailers that stand out above others. Enrolling in their services is a great idea for small to mid-sized businesses. But have you considered taking a deeper look into your merchant accounts and the fees you’re paying for accepting credit and debit cards? Many retailers simply accept fees associated with credit card processing as a “cost of doing business” with no attempt to understand and reduce them. But engaging with account auditors at Verisave can not only help you to understand these fees, but we can also help you to take control. Our auditing firm is an unbiased, independent third-party, unaffiliated with any merchant processors. Our compensation is based solely upon a percentage of the actual, realized savings we generate. We will not ask you to switch processors. However, if we find that you could be saving money with another processor, we will bring this to your attention. Our service includes periodic monitoring to ensure the savings we have obtained remains in place. Our team of auditors will develop strategies customizable to your personal account for lowering your monthly merchant fees. We will provide a savings estimate help you determine whether the potential savings are worth pursuing before making any commitments. Our savings strategies and estimates are completely transparent. Get in touch with a merchant account expert at Verisave today for your free statement audit. In a matter of weeks, you could be saving 25% to 35% in credit card processing fees. Vend offers merchants a cloud-based POS system coupled with inventory management tools through a wireless smart device. Their services are built primarily for retailers. You can set up a laptop, desktop, or handheld smart device to accept payments and access reports with or without an internet connection. Devices must be capable of running Windows 7 or Mac OS X 10.5 (or higher). Vend is known for being extremely user-friendly, allowing most anyone to comfortably learn their system and have very little problems with integration. The intuitive software is simple to learn and offers lots of information for making informed decisions when it comes to business management and inventory. Verisave works with CFO’s, senior financial executives, controllers, and accounts payable teams to reduce the amount of fees spent each month on credit card processing. It’s a complex system that starts with your POS device and provider and works its way through gateways, processors, banks, and more. Having an expert from Verisave on your team will help you to decide on the best set-up for accepting payments, processing credit cards, and structure your merchant accounts. Understanding the players in the credit card processing industry and the fees they charge can help you make better decisions and reduce your fees. In order to optimize your merchant processing and minimize fees, you should consider engaging an auditing firm. VEND POS SOLUTIONS – Retailers have access to a lot of tools with a Vend POS system. With or without an internet connection, you can accept payments. Vend will resync your sales once you get your device back online. Create custom receipts, save notes to track discounts and other transaction details, refund past orders, give store credit, create individual staff accounts to track POS usage, manage and track cash transactions, and more. VEND E-COMMERCE SOLUTIONS – This solution is not included with Vend’s free services. But with a subscription service, you can have access to their e-commerce tools. You’ll have access to an integrated website builder, pre-built design themes, syncing capability with your store’s inventory, and hosting. The one downside we’ve noticed to their e-commerce solution is the requirement to tie your domain name to their domain name for their shopping cart services. However, this protects you from liability issues and PCI compliance. VEND HARDWARE OPTIONS – If you opt to use Vend services, you can use their software on hardware you already own. Their software only requires Windows 7 or Mac OS X 10.5 (or higher). You can also purchase hardware through Vend. They offer three different bundles. VEND PAYMENT ACCEPTANCE – Accept all major credit cards including Visa, Mastercard, American Express, Discover, etc. Vend is known for its ease of use. The interface is very intuitive and user-friendly, making it an easy system to implement and teach to employees. Vend offers onboarding services to new customers. They will help you to upload your SKUs, configure products, and other troubleshooting inquiries that you’d come across when implementing a new service like Vend. They also provide coaches with a retail background to help train employees to use Vend. How Much Will You Be Paying For Vend Services? Vend offers two set pricing plans, with a third pricing plan that is scalable for larger entities. Before you make a commitment, Vend lets retailers try the product for free for 30 days. Vend Lite – $99 /month for an annual contract or $119 /month with no long term contract. Vend Pro – $129 /month for an annual contract or $159 /month with no long term contract. 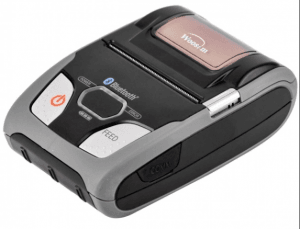 Vend Enterprise – Speak with a sales rep for a quote. Paying for your POS device is only one of many fees merchants will face when they opt to allow credit and debit card transactions in their stores. Most financial executives we speak with do not truly understand their credit card statements and do not understand where their fees go. We have found that businesses that engage an auditing firm generally pay 25% lower fees than their industry counterparts and save significantly more per month than do those who go about it alone. Vend allows you to choose between month-to-month billing and yearly billing. This offers you the ability to save money if you’re willing to make a yearly commitment by paying upfront for the year. Each plan has the option to add Premium Support (comes standard with the multi-outlet plan) for an additional monthly cost. This will give you personal set-up assistance, phone support, and ongoing training. A common complaint about Vend comes down to their paid customer support. Vend is one of few POS companies that charge their customers for support. Though their payment route for customer support is odd, they offer a huge library of resources to solve a lot of issues without having to speak to a customer support rep. Overall, customers are generally very happy with Vend. Vend’s navigation and data display are easy to understand as well as teach to new employees. There are many positive reviews on the web concerning Vend POS services. Most businesses accept credit cards as a form of payment from their customers, it’s a no-brainer. In fact, rewards offered to those using a credit card for personal or business purposes are substantial, making it an obvious choice for many. Vend provides a great option for POS solutions to retailers. Their software is easy all around: simple implementation, a user-friendly interface, and easy-to-read reporting. 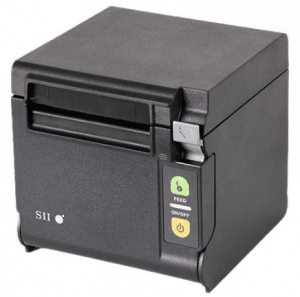 However, if you’re looking to switch to a Vend POS system, it may be worth your while to take a deeper look at your entire credit card processing system to see if you could be saving money. 1. Account statements are far from transparent. 2. Your merchant processor is not incentivized to clue you into savings opportunities. 3. There is no way for business owners to determine current market rates for credit card processing. If you are looking to take control of your credit card processing fees, speak with a representative at Verisave. With a free audit of your most recent merchant account, we can map out a plan for implementing proven savings strategies for lowering your merchant fees. Watch this brief video to learn more. Vend’s POS software combined with the right gateway provider and processor are all factors that contribute to lower fees for processing credit card payments. Find how much you could be saving, today. eProcessing Network, LLC build software specifically for credit card processing. They also build software to help merchants with business management including customized web order generation, bill pay tools, and inventory management tools. Through eProcessing Networks, you cannot obtain a merchant account. Their gateway services and business management tools can be paired with an existing merchant account, however. A few major merchant account providers they work worth include First Data, Chase Paymentech, and TSYS. eProcessing Network doesn’t disclose pricing on their website but like many in this industry, you can rely on a monthly gateway service fee, a small fee per transaction, and traditional startup fees. If you are looking to sign up with eProcessing Networks to use any of their provided services, let Verisave’s merchant account auditors help you with this processes. We have worked with many companies using eProcessing Network as their merchant account provider and their payment gateway. Over time, we have developed proven strategies for saving on overall merchant account fees that we can apply to your accounts as well. Our experience in the credit card processing industry combined with our benchmark data from working with over 500 businesses in the US gives us a leg up when working with companies like eProcessing Network. 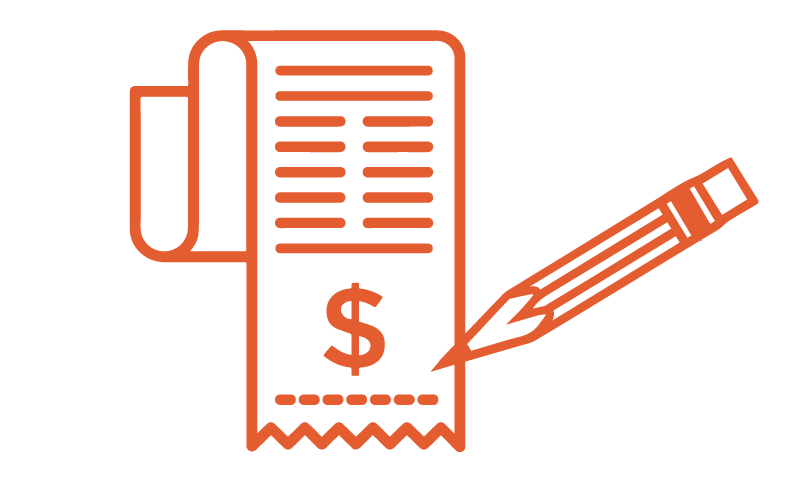 Start by submitting a copy of your most recent merchant account statement. 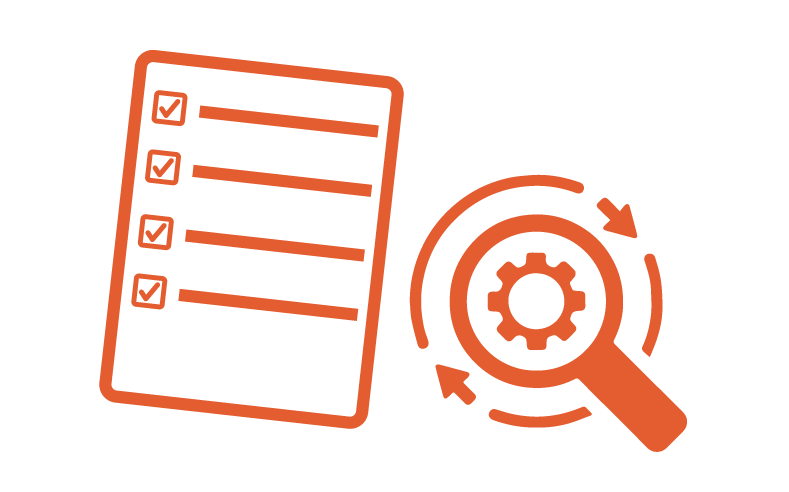 Our auditors check your statement for three specific variables to see if you could benefit from working with Verisave. Industry Savings – How do your merchant fees/rates compare to other companies in your specific industry? We compare your statement to our proprietary data compiled of businesses similar to yours. Benchmark Savings – How do your merchant fees/rates compare to our proprietary database/benchmark data? We will check your data against compiled data that compares benchmarks across the nation. Our benchmark data on eProcessing Network allows you access to factual savings information that can be applied to any eProcessing Network merchant account. Pricing Savings – Are you getting the best pricing and rates from your processors? In most cases, we don’t recommend switching processors. But there will be occasions where you could save more by using a different processor. Once our experts have reviewed your statement and determined if you would be a good candidate for our services, we will present to you a general outline of the savings you could achieve by working with Verisave. We offer our clients a detailed savings plan showing the specific savings they could achieve by allowing us to apply our proven strategies for lowering merchant account fees. Verisave’s experts put the savings plan into action so you can turn your attention to other areas of your business. Once the savings have been captured, we will continue to monitor your statements, ensuring that the savings remain in place. Contact Verisave today to see how much you could be saving in monthly merchant account fees. XCharge is based out of Pleasant Grove, Utah and was acquired by Global Payments in 2012. XCharge is a virtual terminal system. They offer proprietary software combined with merchant account services to merchants for credit card payment processing. XCharge works well as a virtual terminal option but has not been updated in a number of years. We anticipate that this product will eventually be phased out. In the meantime, if you’re using XCharge as your merchant account provider and payment gateway, Verisave can help you obtain lower monthly fees. Speak with merchant account experts at Verisave to find out more about cutting costs and saving on your overall merchant fees. We have worked with XCharge on behalf of our clients in many industries and can help you to restructure your merchant account and credit card payment process with more efficient tools and proven savings strategies. XCharge MERCHANT ACCOUNTS – XCharge does not directly process payments. Merchant accounts from XCharge are provided by the parent company Global Payments. XCharge eCOMMERCE TOOLS – The XWeb payment gateway pairs with the following shopping carts: Earth Skater, PDG Software, CustomCart, and eLink Ware. XCharge PAYMENT ACCEPTANCE – Accept payments made with all major credit cards including Visa, American Express, Discover, and Mastercard. Also allow customers to pay via ACH or eCheck. 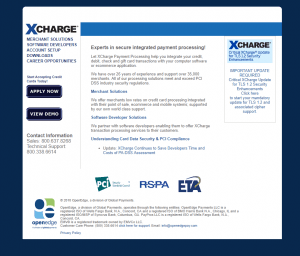 XCharge PAYMENT GATEWAY – XCharge pairs their virtual terminal software with XWeb – their payment gateway solution. 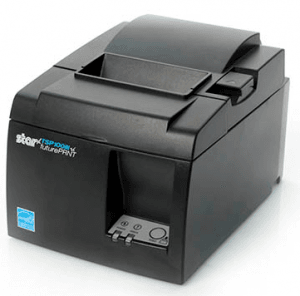 XCharge POS SYSTEMS – XCharge does not provide hardware for their terminal software. But the software can be paired with many existing POS systems. XCharge MOBILE PAYMENTS – They do not currently offer an app for mobile payment acceptance. But you can use the parent company’s app, “OpenEdge Mobile.” This app is available for both iOS and Android. XCharge VIRTUAL TERMINAL – Turn any device with Microsoft Vista or older into a POS system using XCharge’s virtual terminal software. You can accept payments while offline (storing data on your personal device) and once you have an internet connection, the payments are then processed. No updates have been made to their software to allow merchants to use more recent versions of Microsoft, which leads us to assume they will phase this product out of the OpenEdge/Global Payments list of services. XCharge has included built-in fraud protection to allow for PCI compliance. This software also provides online reporting that includes transaction information, merchant accounting, and images. Try speaking with Verisave before enrolling in XCharge services. Verisave merchant account experts have worked with many companies using XCharge as their merchant account and gateway provider. Based on our experience with this company, we can help you save money that merchants cannot ordinarily obtain on their own. How Much Will You Be Paying For XCharge Services? XCharge does not disclose pricing information on their website. It will vary between individual merchants based on a few different factors, including (and not limited to) industry, monthly processing volume, location, and more. Payments go directly through Global Payments for services. You can expect to pay a monthly service fee, a yearly membership fee, possible PCI compliance fees, and a wireless service fee if you use a wireless terminal. If you use XCharge as your merchant account provider, speak with a Verisave merchant account auditor today. XCharge is known to charge many unnecessary junk fees that are hard to spot for the untrained eye. We can help to eliminate these fees and apply other proven strategies for lowering your overall merchant fees. If you are ready to pay less for merchant account services, then speak with Verisave’s merchant services experts. Customers achieve an average savings of 25%-35% in credit card processing fees and other merchant-related expenses after a free audit from Verisave. XCharge offers a three-year contract for services, with an automatic renewal clause that results in one-year contracts each year following the initial term. The automatic renewal clause can be removed from the contract before signing. It can also be prevented by giving 60 days notice prior to the end of the contract term. There are many merchant account providers that offer month-to-month accounts with zero termination fees that may make more sense for your business. XCharge requires a merchant who cancels their contract early to pay for liquidated damages. This means you will be required to pay the entire value of the length of your contract – the entire 36 month’s worth of fees. You’ll find very little information on XCharge’s outdated website. With the overall appearance of the site, outdated company information, and limited use of their software, it seems as if Global Payments isn’t paying much attention to this branch of their company. Signing up with XCharge may come at a more costly price than just their lengthy contract lengths and long list of junk fees. It could very likely result in poor customer service and troubleshooting by the looks of how neglected their online presence has become. XCharge services are primarily obtained via third-party sales agents. Depending on your experience, sales teams and customer service may range from terrible to excellent. Without the direct input of an in-house sales team, customer service tends to suffer. For support, you’ll have to contact OpenEdge. Most online complaints about XCharge concern aspects dealing with their merchant account service, not their payment gateway service. This includes account cancelation and poor customer service. When it comes to closing an account with XCharge, they’ve included specific demands in your contract. These can be confusing and require multiple steps for completion. We’ve helped clients cancel accounts with XCharge and have limited their frustration, but for merchants completing this process on their own, it can be overwhelming. We typically do not recommend XCharge for their merchant account services. With so many other companies available for these services, you’re likely to benefit from another route that includes month-to-month contract lengths, lower processing fees, and more favorable business management tools and customer service. While they provide a payment gateway that seems to do a great job, it can be simpler to work with a company that provides your merchant account paired with their gateway services. Depending on your business’ specific needs and the services you obtain from XCharge, you can easily end up overpaying for your merchant services without the help of our credit card processing auditors at Verisave. We find that our customers are overpaying an average of 25% to 35% for their monthly merchant account, payment processing, and other credit card payment services. Submit your most recent merchant account statement today to see if you could benefit from working with account auditing experts at Verisave. After years of working in this industry, we have developed proven strategies for reducing merchant account fees for our clients. When implemented in a specific order, we can maximize your savings potential. Currently using XCharge as your gateway or merchant account provider? Speak with Verisave to see what we can do to save you money on your merchant account fees. USAePay acts as a payment gateway provider for processing credit card payments. While many gateway providers also offer merchant accounts, USAePay does not. They have, however, developed a number of tools, hardware options, and proprietary software to help merchants with credit card processing. To obtain USAePay as your gateway provider, you have to also work with one of their partners that offer merchant accounts. This includes major companies like Global Payments, Planet Payment, and WorldPay. You cannot sign up with USAePay directly. This is one of the reasons they can offer lower pricing to their customers. USAePay will be a viable option for some businesses, but not many. 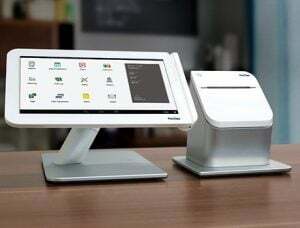 While they provide hardware (POS systems), they’re generally in need of updates and are not compatible with the most recent smartphones and tablets. If you are looking to work with USAePay to take advantage of their lower fees for gateway services, speak with a merchant account expert at Verisave. We have worked with multiple independent gateway providers across numerous industries and can help you determine if USAePay is a cost-efficient route for your business to take. If they aren’t, we’ll help you locate a less costly gateway provider to limit your monthly spending on merchant account-related fees. USAePay acts as a payment gateway for merchants accepting credit card payments. They provide hardware and proprietary software and charge minimal fees. USAePay PAYMENT GATEWAY – While USAePay doesn’t supply merchant accounts, they partner with other companies who do. Then, they act as the payment gateway for accepting credit and debit card payments, or check/eCheck payments, whether in person or via an eCommerce platform or virtual terminal. USAePay MOBILE PAYMENTS – Accept EMV cards, as well as payments made with Apple and Android devices. USAePay VIRTUAL TERMINAL – Turn an electronic device (desktop computer or handheld device) into a POS terminal with USAePay software. USAePay eCOMMERCE SOLUTIONS – USAePay offers a selection of shopping cart options and integrations. Digital storefronts can set up recurring billing and omnichannel solutions, pairing their checkout service and data capture with multiple points of sale. This service has free tokenization and fraud tools, making it PCI compliant. USAePay CHECK PROCESSING – Allow your customers to make payments via check when you use USAePay as your payment gateway. USAePay HARDWARE (POS Systems) – USAePay offers hardware but most of it is fairly outdated, with their mobile hardware being compatible with iPhone 4 and older. USAePay POS INTEGRATION – USAePay integrates with a large list of POS devices. USAePay SHOPPING CART INTEGRATION – USAePay provides a massive list of virtual shopping cart providers that are registered with USAePay. Many popular shopping cart plugins are registered with them including WooCommerce and WordPress e-Commerce. Many of the companies on this list are also e-store builders. You can create a custom shopping cart experience to match the existing design and layout of your site. USAePAY SECURITY AND FRAUD PROTECTION – USAePay uses tokenization to protect customer information during credit card transactions. USAePay ACCEPT EMV PAYMENTS– USAePay offers hardware options for merchants to allow the use of EMV cards in their stores. Speak with Verisave to see how we can lower your merchant account fees using USAePay. Traditionally, we will not require you to change processors, but if USAePay is not the best suit for your business and you can save on merchant fees by using another processor, then we will let you know. In any case, give us a call before making long-term commitments to any credit card payment processor. Theoretically, implementing USAePay systems is a simple process. But a majority of onboarding will depend on the merchant account provider. However, since USAePay integrates with so many available merchant account providers, shopping carts, and POS systems, they are an easy gateway provider to use with existing systems. How Much Will You Be Paying For USAePay Credit Card Processing? USAePay does not disclose pricing on their website. Fees for these services are determined largely by the third-party merchant account provider you’ll use to access USAePay’s gateway services. If you’re wondering which merchant account provider might offer you reasonable rates and reliable services for your particular field of business, speak with a merchant account expert at Verisave. Verisave has worked with hundreds of companies to lower their overall merchant fees. We are confident our auditing experts can help you obtain fair rates for merchant account services. If you are already working with a merchant account provider, Verisave can still help you lower your overall monthly merchant fees. Contact us today to start this simple process with a free analysis of your current merchant account statement. Like pricing, contract lengths and any associated fees are determined by the merchant account provider working with USAePay to offer their gateway services. USAePay works with many well-known merchant account providers including TSYS, Global Payments, First Data, Chase Paymentech, and Vantiv (now Worldpay). USAePay Customer Support – The website for USAePay offers lots of resources for support and troubleshooting. They even have a large library of video tutorials that can help you navigate a wide range of fraud issues, your recurring billing tools, and other transaction issues. Beyond their video tutorials, you can also access support with their phone line, ticket service, or email. Unlike many companies in the credit card processing industry, USAePay’s website is full of information to help you understand the services and products they offer. Pricing is another story. You won’t find any information about fees and pricing on their website. For this info, you’ll have to figure out which merchant account provider to work with as they are the ones who set the rates for USAePay payment gateway services. USAePay is a great gateway provider. But obtaining their services can be done by signing up for a merchant account with a number of different third-party providers. This is where the decision making gets more complex. When it comes to processing volumes, rates for processing, and additional services, there are a lot of factors to consider. Whether you are currently working with USAePay or if you are just exploring your options, our experience in the credit card processing industry lends a considerable leg up to merchants in any industry. Contact us today to start the process of uncomplicating your merchant statement and lowering your merchant fees. With TSYS, your company has access to reliable fraud protection and risk management. They provide data-tracking and reporting tools for a better understanding of your customer base. Many business owners use TSYS for their merchant account needs and at Verisave, we help these business owners to save money on the monthly fees. Before signing up with TSYS (or any merchant account provider or processing company) for processing credit card payments and other merchant services, contact Verisave to see if we can help you navigate this process. With our help, you can avoid the negative experiences other patrons have had due to misunderstandings and a lack of processor experience. Verisave has worked with TSYS and many other credit card processing companies for years. Our auditing experts are well-versed in contractual agreements offered by companies like TSYS. Depending on your company’s unique processing needs, we can help you determine which processor and customizable package is best suited for you. We can then help you to set up your services while optimizing the most efficient rates and payment plans based on your estimated monthly credit card revenue. Verisave has worked extensively with most credit card processing companies in the industry on behalf of our clients to obtain better processing rates and lower merchant fees. Our years of study and experience have resulted in proven strategies that we implement to save our clients 25% to 35% in credit card processing fees. To see if your company is a good fit for what we do, submit your most recent merchant account statement for a free analysis. We will check your processing rates and fees against our vast collection of benchmark data to determine how much your company could be saving using our strategies. With help from Verisave, you could be saving thousands of dollars each month in merchant account fees. TrustCommerce is a well-known and well-liked payment gateway provider that has been in operation since 2000. At Verisave, we have worked with TrustCommerce often on behalf of our clients to save money on their merchant fees, including fees for gateway services. You can obtain their services through a number of third-party providers and they work with many merchant account providers including well-established companies such as TSYS, Chase Paymentech, and First Data. TrustCommerce offers payment gateway services for all merchants, with or without an eCommerce option. Business owners can accept debit, credit, cash, and check payments in person, over the phone, or through a website. They have a great security feature to protect private customer information and to prevent theft or fraudulent transactions. Signing up with TrustCommerce could easily result in high start-up fees, high early termination fees, and higher rates altogether if you are unfamiliar with the credit card processing industry. It helps to have a team of credit card processing consultants like Verisave to help you control costs with TrustCommerce. Speak with one of our merchant account experts to see if you could be saving more on your overall merchant fees. 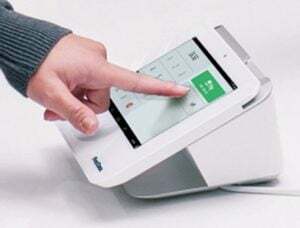 TRUSTCOMMERCE POS TERMINALS: TrustCommerce partners with Verifone and Ingenico to offer POS terminals to their customers. Merchants can also use EMV compliant models to offer more secure payment options. TRUSTCOMMERCE PAYMENT GATEWAY: TC Integrated Payment Application (IPA) is the TrustCommerce payment gateway service. TRUSTCOMMERCE MOBILE PAYMENTS: TrustCommerce uses SSL encrypted software (the PayWithIt app) to turn any mobile device (Android and iOS) into a mobile POS station. They offer a free 30 day trial for this tool. TRUSTCOMMERCE VIRTUAL TERMINALS: TC Vault allows merchants to turn any computer or smart device into an encrypted POS terminal that can accept all payments (credit, debit, and ACH/eChecks). TC Vault also provides the ability to upload batches, compile reports, create custom fields, and set permission restrictions for different users. TRUSTCOMMERCE eCOMMERCE SOLUTIONS: TrustCommerce can be paired with many online shopping carts including Shopify. Integrated Payment Application. This tool allows you to centralize payments, compliance, and EMV requirements. 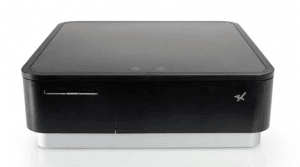 It helps to prevent data theft with encryption and other security measures. TC SMART Products. These products include TC Citadel (secure billing), TC Vault (secure virtual terminal), TC Trustee (secure integrated eCommerce software), TC Payment Portal (secure customer payment management), and consolidated reporting tools. All of these tools are encrypted for securing sensitive merchant and customer data. TC Safe. TrustCommerce uses PCI compliant encryption to protect customer data when purchases are made through their POS devices. TRUSTCOMMERCE REPORTING TOOLS: These tools allow merchants to create customized reports, view daily trends and metrics, and decline reports for simpler reconciliation. Having worked with hundreds of companies processing credit payments every day, we can apply our proven savings strategies to your merchant account. Working with Verisave is all the customization you will need for setting up your merchant accounts, even when it comes to choosing a gateway provider like TrustCommerce. If TrustCommerce is not the best option for your business, we will tell you who is. Give us a call before making long-term commitments to any credit card payment processor, gateway, or merchant account provider and Verisave will help you save on your overall merchant account fees. As a payment gateway provider, TrustCommerce works with many partners to make system integration simpler. Their services are supported by well known merchant account providers like First Data and TSYS. Since they offer POS systems from Ingenico and Verifone, merchants can often use TrustCommerce services without having to replace their existing POS systems. While TrustCommerce is a trusted gateway provider and used by many merchants across the United States, onboarding a new gateway provider should be done with care. If you are considering switching to TrustCommerce as your credit card payment gateway provider, speak with the merchant account experts at Verisave. We can help you to lower your overall merchant account fees and see significant savings in the long run. How Much Will You Be Paying For TrustCommerce Services? TrustCommerce does not disclose their pricing online. Using TrustCommerce, merchants can expect to pay a start-up fee, a monthly gateway fee which averages $20-$25 a month, and a small fee per transaction. Having worked with TrustCommerce through many of our clients, Verisave has developed proprietary benchmark data that allows access to more savings opportunities. We can help you save money on your overall merchant account fees with TrustCommerce regardless if you are just starting with them or if you have been with them for a long time. Verisave customers achieve an average savings of 25%-35% in overall credit card processing fees with an audit from Verisave. If you are interested in Canceling Gateway Services, Implementing/Restructuring with TrustCommerce, or Trying to Achieve Savings with TrustCommerce, then speak with a Verisave merchant service expert. TrustCommerce does not require a long-term contract and therefore no early termination fee for closing an account. However, if you are obtaining TrustCommerce services bundled with merchant account services, the terms for the merchant account may differ from the gateway and could result in long- term contracts with an auto renewal clause and an early termination fee. These are important details to know before making a commitment to merchant account services. Avoid frustrating occurrences due to a misunderstanding concerning these contractual agreements by using Verisave’s merchant account experts to set up your merchant accounts, gateway, and payment processor. Our auditors can help you to map out the best route for your merchant account expenses, saving you money each month on merchant account fees. TrustCommerce offers a wealth of information concerning their services and products on their website. However much of the reading is marketing jargon. More detailed information can be obtained through their sales reps over the phone or by visiting their “Resources” page online. This page offers more technical information about their payment processing and business management/reporting tools. TrustCommerce does offer a free 30 day trial for their services. Not many gateway providers do this. Technical support is available by phone. TrustCommerce also provides a library of resources on their website for troubleshooting. Videos are also available to help understand products and services. TrustCommerce is a reliable payment gateway provider that works with any US based merchant account provider. Because they are easily integrated into most sales platforms, they work well with most companies, large and small. We work with many businesses using TrustCommerce as their gateway provider. Verisave merchant account experts are well versed in their products and services, typical rates across specific industries, common contract practices, and more. Working with Verisave will help you to avoid the common frustrations that merchants have expressed in the past. With Verisave, you can expect transparent, measurable savings on overall merchant fees from TrustCommerce. Stay two steps ahead of the enrollment process with a team of merchant account auditors on your side when enrolling in merchant services with TrustCommerce. With Verisave’s proprietary benchmark data on TrustCommerce, you gain access to factual savings results that can be applied to your merchant account. If you are currently using TrustCommerce as your credit card processing company, you can still save money by working with Verisave. Submit your most recent merchant account statement and we will determine whether or not you could benefit from our services after performing a free audit of your account statement. Based out of Austin, Texas, Easy Pay Direct offers their services as a payment gateway and merchant account provider to businesses of all sizes. Easy Pay Direct is a midsized provider focusing most of their efforts on their services as a credit card processing gateway. You can pair their gateway services with an existing merchant account, or their merchant account services with a preferred gateway provider or you can use Easy Pay Direct for both your merchant account provider and your credit card payment gateway. While Easy Pay Direct offers a number of well-trusted features including online shopping carts and PCI compliant security, determining which route is the most cost effective for your specific business can be difficult. Merchant account auditing experts at Verisave can determine this for you thanks to years of experience working in the credit card processing industry. If you are currently working with Easy Pay Direct or considering signing up with Easy Pay Direct, speak with merchant account experts at Verisave. We have worked with Easy Pay Direct on behalf of our clients in many industries and can help you to navigate the negotiation process to acquire the lowest rates using their most efficient tools, pricing plans, processing rates, and more. EASY PAY DIRECT MERCHANT ACCOUNTS: Easy Pay Direct is not a direct processor. They partner with a number of processors while acting as the merchant account provider, including: First Data, EVO Payments International, and many others. EASY PAY DIRECT HIGH-RISK SPECIALIZATION: Easy Pay Direct specializes in providing merchant accounts to high-risk merchants. EASY PAY DIRECT PAYMENT GATEWAY: Accept credit card payments, debit card payments, and eCheck (ACH) payments while meeting PCI compliance requirements. 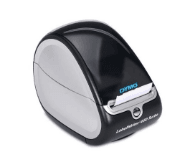 EASY PAY DIRECT CREDIT CARD TERMINALS: Easy Pay Direct credit card terminals include EMV-compliant models. Some terminals support Apple Pay and Android Pay. 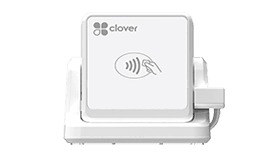 EASY PAY DIRECT POS SYSTEMS: Use any of their POS systems, including: Clover Go, Clover Mini, and Clover Station POS (First Data products). Easy Pay Direct does not lease their POS systems and instead sells them at wholesale prices. 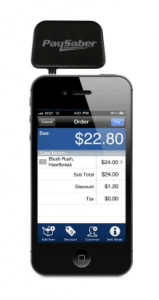 EASY PAY DIRECT MOBILE PAYMENTS: Accept payments using your mobile device. Their smartphone-based mobile payments system works with both iOS and Android using a magstripe card reader that plugs into the headphone jack. EASY PAY DIRECT SHOPPING CART INTEGRATION: This shopping cart works directly with the Easy Pay Direct Gateway. Try speaking with Verisave before enrolling in Easy Pay Direct services. Verisave merchant account experts have worked with many companies using EPD as their merchant account and gateway provider. Based on our experience with this company, we can help you save money that merchants cannot ordinarily obtain on their own. How Much Will You Be Paying For Easy Pay Direct? While Easy Pay Direct doesn’t offer much pricing information on their website, they do charge processing rates under a tiered pricing plan. This is common within the credit card processing industry. However, while most gateway and merchant account providers are starting to eliminate contracts, Easy Pay Direct still uses three-year contracts rather than billing month-to-month with a startup fee of $99. If you are ready to save money in credit card processing or other merchant account services, then speak with Verisave’s merchant services experts. Customers achieve an average savings of 25%-35% in credit card processing fees and other merchant related expenses after a free audit from Verisave. While a 3-year contract was standard practice for most merchant service providers in the past, most companies involved in credit card processing are getting rid of the lengthy contracts and opting for more merchant-friendly month-to-month agreements instead. However, Easy Pay Direct is sticking with the 3-year contract for now. On the plus side, they do not charge an early termination fee for canceling. Researching Easy Pay Direct Merchant Services – EPD is a midsized company which services roughly 60000 accounts. 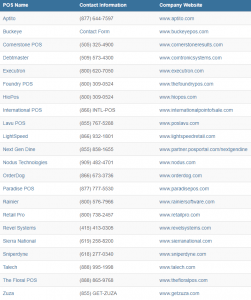 Their website is lacking a lot of information which either forces you to give them a call or leave the site altogether. We have found that speaking with the sales rep is much easier than trying to understand their services by reading through their website. Contacting Easy Pay Direct Customer Support – EPD offers very little in the way of customer support. They have a phone line to call for help questions and a bank of FAQ’s on their website. Other gateway and merchant account providers offer more reading material and means of communication (email, online chat, etc) to their customers that EPD would benefit from offering. We rarely hear complaints regarding Easy Pay Direct and this is reflected in their online reviews as well. Their profile on the BBB website is flawless, with zero complaints. If you are a small to mid-sized business looking for a merchant account or gateway provider, Easy Pay Direct may be a good option for you. Depending on your business’ specific needs and the services you obtain from Easy Pay Direct, you can easily end up overpaying for your merchant services without the help of credit card processing auditors at Verisave. We find that our customers are overpaying an average of 25% to 35% for their monthly merchant account, payment processing, and other credit card payment services. Currently using Easy Pay Direct as your gateway or merchant account provider? Speak with Verisave to see what we can do to save you money on your merchant account fees. 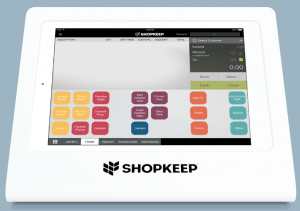 ShopKeep offers a user-friendly iPad POS system that retailers, food and beverage vendors, and services providers alike will find useful. They gear specifically toward the small to mid-sized business. Their software works specifically with iOS 10.8 and higher. Once a flat rate pricing model, ShopKeep now offers a quote system. Pricing info can be determined by speaking with a ShopKeep sales rep. Their software and hardware systems for credit card payment processing are great for small business’. 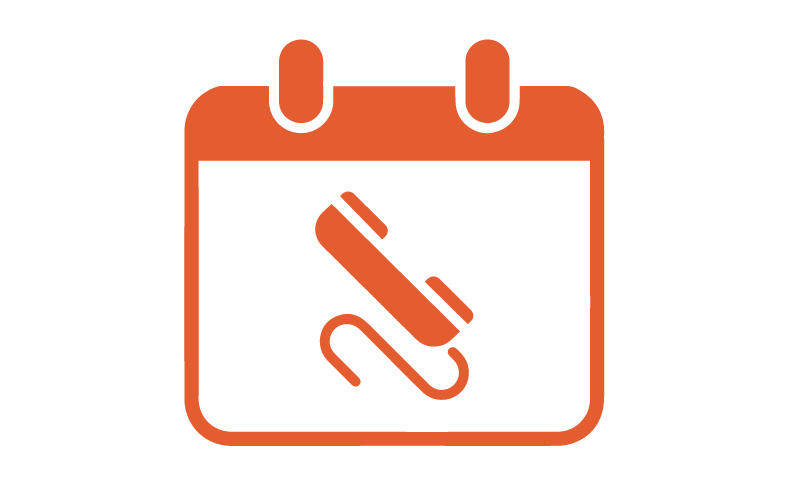 ShopKeep has a unique feature that implements cloud-based and locally installed software. Via the iPad POS, the app runs without wifi and syncs data to the cloud any time there is an internet connection. While in-person transactions can be made with ShopKeep, they now offer eCommerce tools since pairing with BigCommerce. If you are currently working with ShopKeep or considering signing up with ShopKeep, speak with merchant account experts at Verisave. We have worked with ShopKeep on behalf of our clients in many industries and can help you to navigate the negotiation process to acquire the lowest rates using their most efficient tools, pricing plans, processing rates, and more. ShopKeep’s credit card processing tools work with iPad and iPad mini devices operating with iOS 10.8 and higher. Android is not an option with this payment platform. SHOPKEEP PAYMENTS: ShopKeep’s credit card payment processing service. ShopKeep offers a user-friendly operating system. Remaining true to the iOS operating systems of Apple devices, the payment platform is easy to navigate and very intuitive. Set up is easy and self-explanatory as the program walks you through the installment process. While setting up your system, the app also offers a guided tour of basic features. All of your reporting, inventory receiving, and employee time tracking are done on the web platform while most of your interactions are with the iPad app. How Much Will You Be Paying For ShopKeep Services? ShopKeep started by offering a fixed rate price for their services but has recently switched to a quote system, requiring the user to call for more detailed pricing information. Pricing will vary based on a number of business specifics. To get the most out of ShopKeep services, Verisave can compare your initial quote or current plan from ShopKeep against our benchmark data. This proprietary data is comprised of over 500 companies’ credit card processing data, giving you a clearer understanding of the plan and pricing offered to you by ShopKeep and whether or not you can expect better pricing or better service options from another company. With ShopKeep, you pay as you go. There are no required contracts and billing is offered on a month to month basis. You can discuss with a sales rep the option of long term contracts which may result in better rates for services, but this is not a requirement. Considering early termination or merchant services restructuring? These are two more excellent services we can provide to merchants looking to lower their credit card processing fees. Contact Verisave to learn more about the ways we save our clients an average of 25%-35% in merchant fees. Researching ShopKeep Services – ShopKeep shares a lot of information about their services directly on their website. However, pricing information is only obtained by speaking with a sales rep. We have found that the sales reps at ShopKeep are open about pricing information and easy to work with. Contacting Customer Support – ShopKeep offers lots of avenues for customer support. These include traditional methods such as online chat features, email, and phone lines. You can also pay for private training to use their systems. Our team of auditors has worked with a number of clients using ShopKeep and their credit card payment processing services. We have become very familiar with the services they offer, as well as their fees and payment structures for credit card processing. Using a merchant account auditing firm like Verisave can give you a leg up on selecting POS systems, payment platforms, payment processors and more. We offer valuable backend knowledge of their sales practices and average rates other customers have achieved. After speaking with a sales rep at ShopKeep to see what rates they offer you for their services, contact Verisave to see what more we can do to help you achieve the lowest rates and pricing possible for credit card processing with ShopKeep. If ShopKeep is not the best fit for your business, we can point you in a better direction. Verisave has worked with over 500 companies to reduce their merchant services fees and credit card processing rates. Our extensive knowledge gained by working with processing and merchant services companies like ShopKeep (and many more) is the advantage your business needs to maximize their bottom line.